Colorado Rockies pitcher German Marquez throws against the San Francisco Giants during the seventh inning of Sunday’s game in San Francisco. 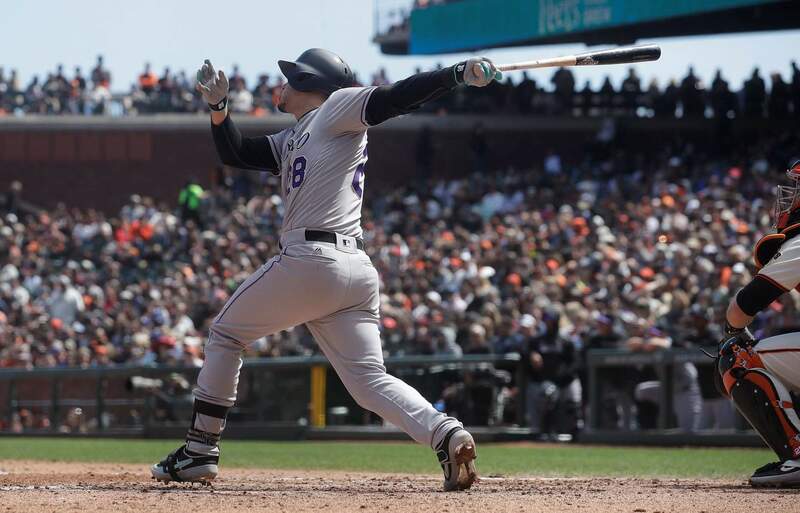 Colorado Rockies’ Nolan Arenado hits a three-run home run against the San Francisco Giants during the fifth inning of Sunday’s game in San Francisco. 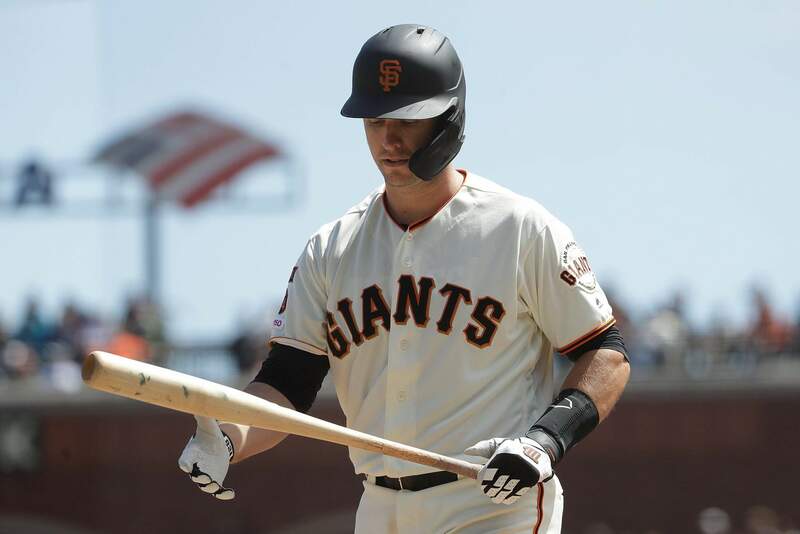 San Francisco Giants’ Buster Posey walks to the dugout after striking out against the Colorado Rockies during the fourth inning of Sunday’s game in San Francisco. 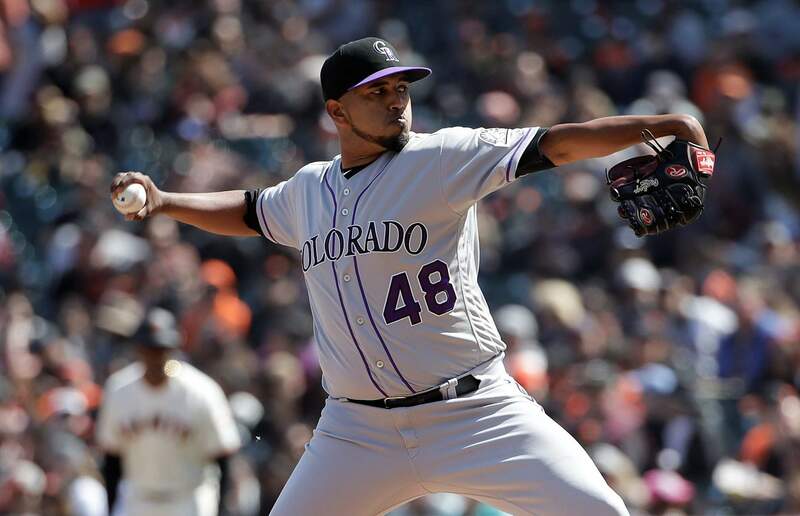 SAN FRANCISCO – German Marquez almost did more than merely end Colorado’s losing streak. He came close to putting himself in the record book. THROWING BLANKSTravis Bergen, Trevor Gott and Nick Vincent each threw a scoreless inning for the Giants, extending the bullpen’s scoreless streak to 20 innings. Collectively, San Francisco’s relievers have a 1.77 ERA. UP NEXTRockies: Black has yet to name a starter for Monday’s game at San Diego. RHP Antonio Senzatela, who rejoined the team in San Francisco after completing a rehab assignment in the minors, is the leading candidate.